You want to build a new deck for your home or business - and who can blame you? A deck is the perfect place to spend time outdoors, to attract new business, to enjoy a quiet space, to host a party, you name it. Whether you build the deck yourself or hire a contractor, it is a worthwhile investment that will pay off in usage and increased home value. It's also a relatively easy project for something so noticeable. "It doesn't take an architect or a designer to understand aesthetic principles." With that said, some sizes and shapes may not be suitable for your specific home, space or budget. But consider, too, that bigger does not always mean better. If you're on a budget and need to choose between a huge, featureless deck and a small, more interesting one, the latter is likely the better choice. On the other hand, if you're designing for a commercial space, a large deck could be what you need to fit more customers. Additionally, if you have a smaller building, an enormous deck just won't look right. You want your deck to be a logical, attractive extension of the building - not a hasty add-on. There are an array of decking colors to choose from and each one says something different about you. Be sure to go with a decking provider that offers the full spectrum of color options so you can find a tone that matches your home, style, personality and location. Again, this factor also depends on how you plan to use your deck. For restaurants, color can set the mood and complement the fare. On the other hand, you may want your deck to stand out in the neighborhood, or look more subdued, depending on your preference. 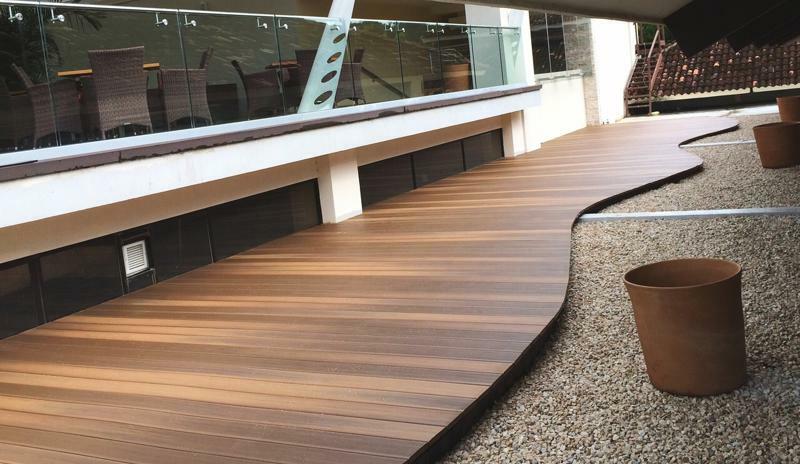 Decking style is always an important consideration. Before you nail down the first boards, you need to nail down the type of material you'll use for your deck. There are plenty of options, but not all of them are durable, low-maintenance, stylistically flexible and resistant to mold, mildew and stains. Most people automatically assume wood decks are the way to go, but that's no longer the case. Rather, capped composite decking is the superior product on the market, as it provides all of the aforementioned benefits in one package. Once you've given some thought to each of these categories, you can start taking the next steps. That means making measurements, determining local code regulations, setting aside a budget and contacting capped composite decking distributors. A great start would be to reach out to Duralife Decking for a free capped composite decking sample today.